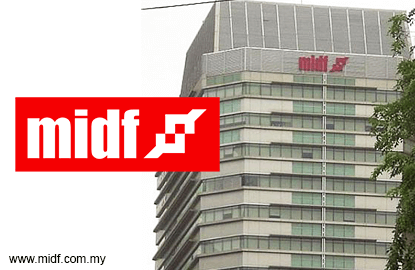 KUALA LUMPUR (Oct 8): MIDF Research has introduced end-2016 target for KLCI at 1,800 points, and said this was against the backdrop of recovering earnings growth next year. In a strategy note today, MIDF Research said the baseline target equates to PER16 of 16.0x and +0.5SD. Also, we reiterate our year-end 2015 FBM KLCI baseline target of 1,650 points (with upper and lower range of 1,700 and 1,600 points respectively) which equates to PER16 of 14.7x and -0.3SD. “We reiterate our assertion that empirical observations between earnings and price are conclusive with regard to the nature of their secular direct relationship. “This is despite the ever present ‘noises’ from short-term price volatility which is influenced by market sentiment and other situational issues. Meanwhile, commenting on 3Q2015, the research house said the domestic market received a needed shot in the arm pursuant to the reaffirmation by Fitch Rating of Malaysia’s sovereign debt rating as well as the upgrade in its outlook to stable. “Nonetheless WSJ’s purported ‘expose’ and NO votes by Greece deflated market sentiment. Meanwhile, cabinet reshuffling brought only short-lived respite as it was followed by the Ringgit and FBM KLCI breaking support thresholds and was made worse by China’s decision to devalue the Yuan. “The downward momentum was rather forceful that the news of Malaysia’s better than expected 2Q15 GDP did little to stop the rout. However, the cyclical ebb came on 24 August which corresponded with a massive 8.75% one-day decline in China’s CSI300 index. “The ensuing rebound was partly fueled by the prospect of RM20 billion Valuecap boost as well as the delay in US Fed rate liftoff,” it said.